All across North America, people are looking to make better choices, but also eat healthier, more environmentally friendly and, most of all, great tasting food. 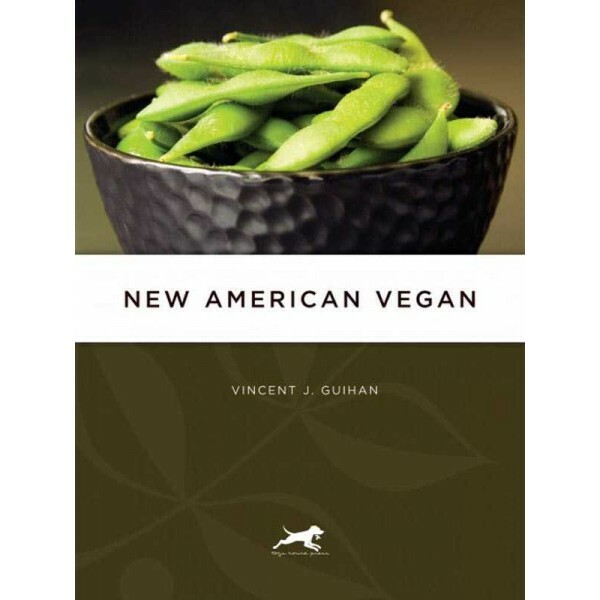 New American Vegan breaks from a steady stream of cookbooks inspired by fusion and California cuisines that put catchy titles and esoteric ingredients first in their efforts to cater to a cosmopolitan taste. Instead, Vincent goes back to his Midwestern roots to play a humble but important role in the reinvention of American cuisine while bringing the table back to the center of American life. Weaving together small town values, personal stories and 120 great recipes, New American Vegan delivers authentically American food that simply has to be tasted to be believed. Recipes range from very basic to the modestly complicated, but always with an eye on creating something that is both beautiful and delicious while keeping it simple. Clear instructions provide step by steps, but also help new cooks find their feet in the kitchen, with a whole chapter devoted just to terms, tools and techniques. With an eye towards improvisation, the book provides a detailed basic recipe that’s good as-is, but also provides additional notes that explain how to take each recipe further, to increase flavor, to add drama to the presentation or just how to add a little extra flourish for new cooks and seasoned kitchen veterans. Vincent has been a vegan for more than a decade, and was a lacto-ovo vegetarian for a decade prior to becoming vegan. He grew up in a in a very small Midwestern town (Warterman, IL), where his back yard was the neighbor’s cornfield. His parents cooked only sporadically, even though the nearest fast-food restaurants were a 20-minute car ride away and this cookbook is his revenge. Raised on TV dinners, burgers, pizza and spaghetti, he spent much of his young adulthood nestled between the delicatessens, greasy spoons and taquerias of Chicago’s southwest side, which helped to build his palate. Today, he lives in Ottawa, Canada, a city renowned (at least in Canada!) for its cosmopolitan snugness in spite of its size where he gorges himself on the cornucopia of foods from all over the globe, many of which he can’t even pronounce. He has been blogging about vegan cooking and gourmet topics since 2006. And although not a formally trained chef, he’s a formally trained and highly skilled eater.